Single hopped with Bravo, this Dragon is polished and light on the palate. Flavours of sweet orange and tropical fruit provide a satisfying zing, while spicy floral notes linger on the tongue. 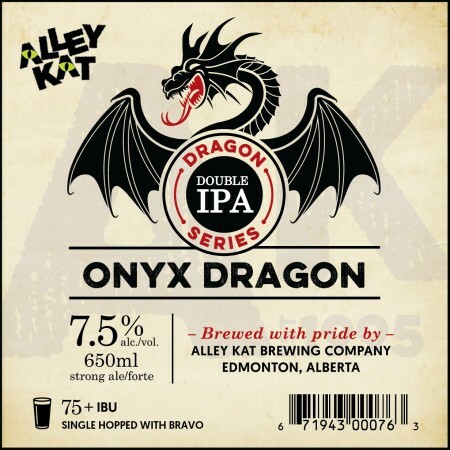 Onyx Dragon will be launching tomorrow (August 2nd) in a limited run of 650 ml bottles that will be available at the Alley Kat brewery store and select liquor stores and bars in Alberta while supplies last.